Product prices and availability are accurate as of 2019-04-03 12:25:02 EDT and are subject to change. Any price and availability information displayed on http://www.amazon.com/ at the time of purchase will apply to the purchase of this product. Want to take your sense of style to the next level? 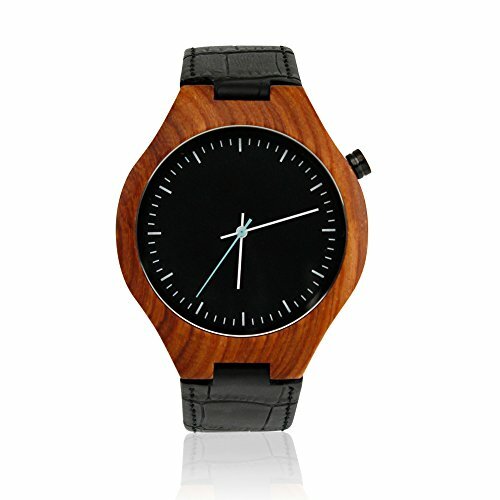 This hand-crafted wooden watch with premium quality leather strap is guaranteed to be a talking point wherever you go. 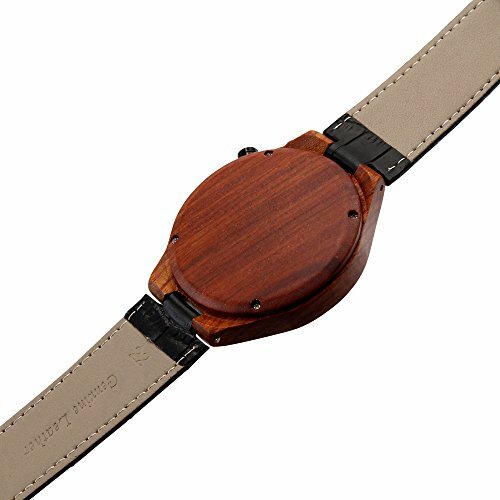 Each watch has its own unique and beautiful wood grain pattern that makes an ideal gift for your loved ones for any occasions such as Christmas, birthdays, anniversaries, father's day, mother's day, graduations, Valentine's day, etc, or when you simply want to spoil yourself with something new and trendy. Made of eco-friendly natural sustainable wood and premium quality real leather, this watch is super light weight for comfortable wear and fits most wrist sizes. IDEAL GIFT - One of the newest trends that gives a sophisticated and fashionable look, merging with the feel of nature. 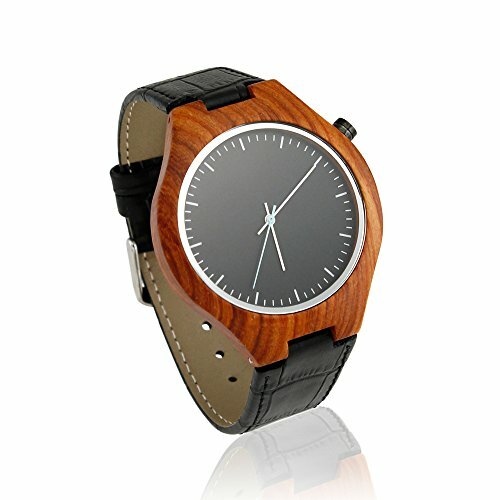 Each watch has its own unique and beautiful wood grain pattern that makes an ideal gift for your loved ones for any occasions such as Christmas, birthdays, anniversaries, father's day, mother's day, graduations, Valentine's day, etc, or when you simply want to spoil yourself with something new and trendy. HAND MADE & COMFORTABLE - Made of eco-friendly natural sustainable walnut wood without any toxic chemicals. 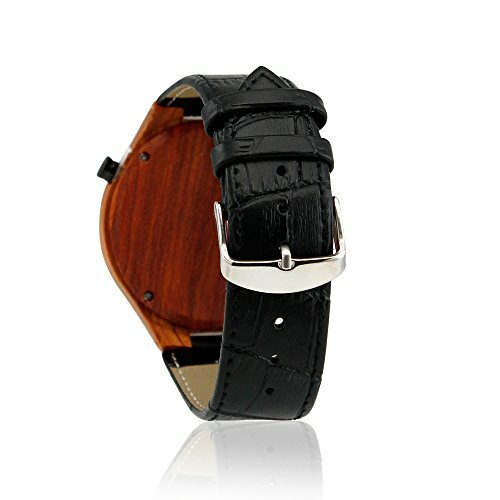 Strap made of premium quality leather. Super light weight for comfortable wear. 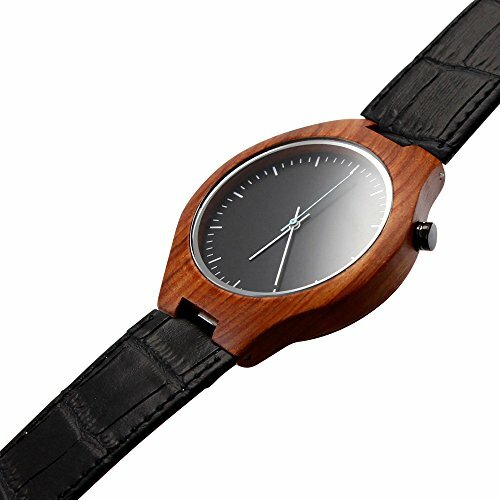 DESIGN - Unisex, hand-crafted and polished natural walnut wood with Japanese Quartz Movement. 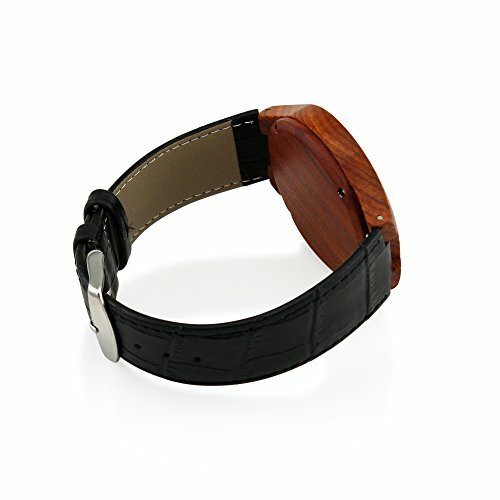 Adjustable leather band made to fit most wrist sizes. SIZE & PACKAGE CONTENTS - Watch Size: Approx. 45 x 45mm; Box size: H53 x L85 x D85 mm. Package includes: Watch x 1, Gift Box x 1, Watch pillow x 1. Product of Oct17, Trademark Registered.